A Dark, rich coffee flavor paired with the sweet richness of caramel. It is a lovely, well rounded flavor and is among one of our favorites. 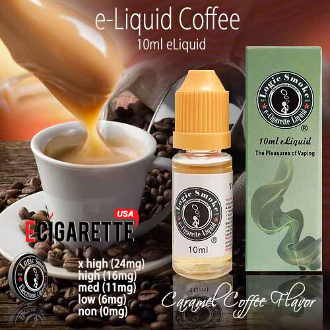 This is a wonderful flavor for that enjoyable morning ritual of your 1st cup of coffee and a smoke, without the caffeine and cigarette.